THE UFO EXPERIENCE An unidentified flying object, or UFO, in its most general definition, is any apparent anomaly in the sky that is not identifiable as a known object or phenomenon. 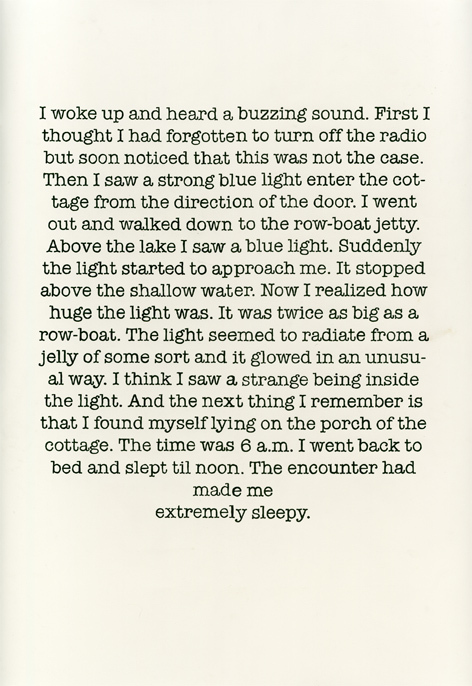 Culturally, UFOs are associated with claims of visitation by extraterrestrial life or government-related conspiracy theories, and have become popular subjects in fiction. While UFOs are often later identified, sometimes identification may not be possible owing to the usually low quality of evidence related to UFO sightings (generally anecdotal evidence and eyewitness accounts. Redrawn sightings report #9 – 90x120cm inkpen. The McMinnville UFO photographs were taken on a farm near McMinnville, Oregon, in 1950. The photos were reprinted in Life magazine and in newspapers across the nation, and are often considered to be among the most famous ever taken of a UFO. The photos remain controversial, with many ufologists claiming they show a genuine, unidentified object in the sky, while many UFO skeptics claim that the photos are a hoax. Internet UFO drawings # 15 , 30x30cm graphite drawing. Redrawn sightings report #2 -85x60cm graphite drawing. 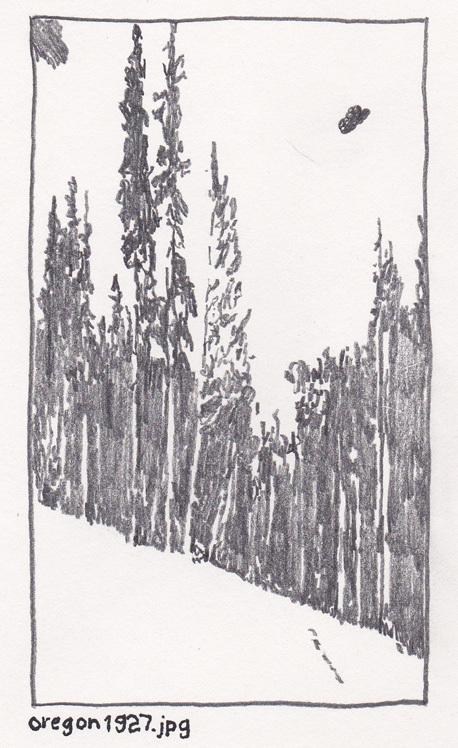 Redrawn UFO Photographs Oregon1927.jpg 14,8x21cm graphite drawing.These photographs have come to us from a great many different sources. Some have been contributed by their original photographers, and some by relatives, friends and aquaintaces of those photographers. Some have been taken from www. 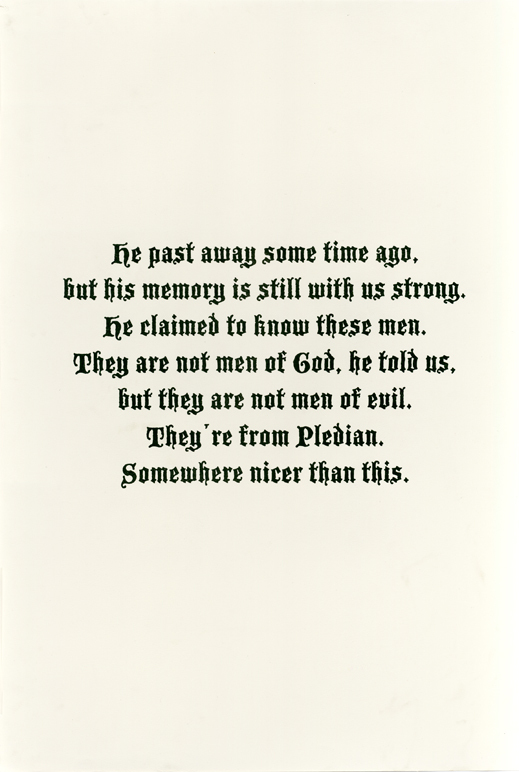 Some have been sent tous anonymously, and some by magazines and newspappers. Some have been obtained from other files and other collectors. 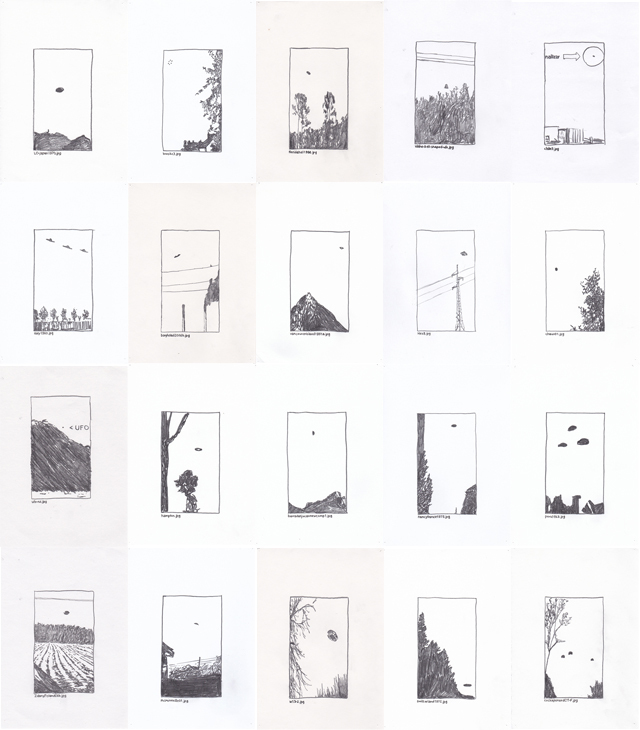 Redrawn sightings report #5 – 90x120cm inkpen. 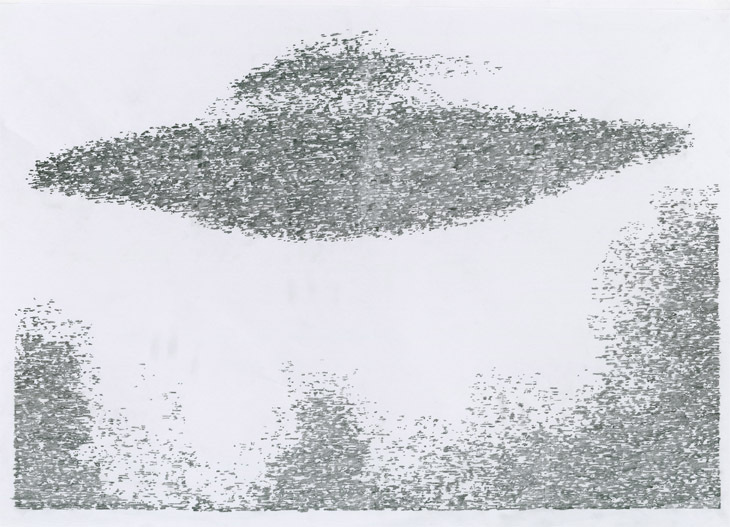 Redrawn UFO Photographs ”This section of our website contains many of the best UFO photographs ever taken. The list is by no means complete. We do not assert that all of the images on these pages represent extraterrestrial controlled spacecraft. 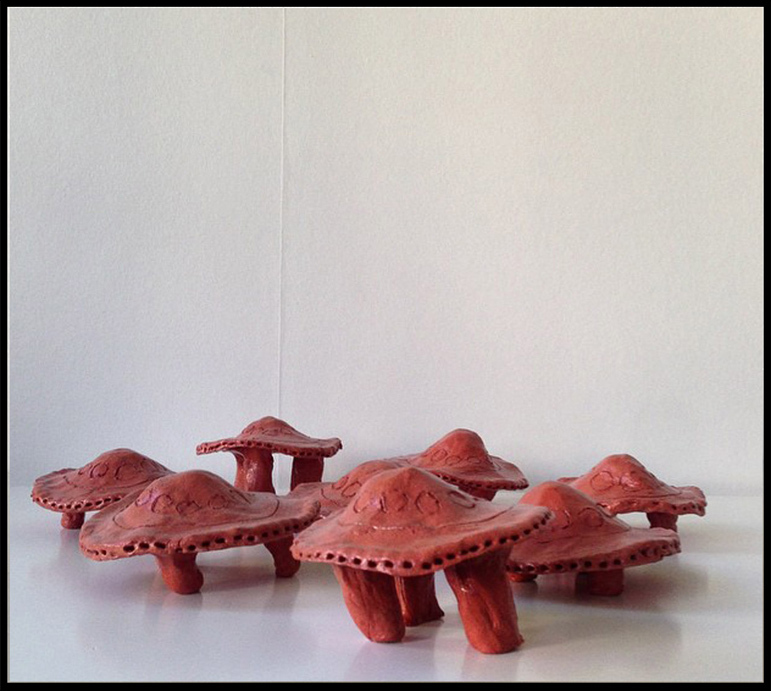 New pictures are added as they are found and verified, so please come back to see updates.” Clay UFO #1-8 Internet UFO drawings # 01 30x30cm graphite drawing. 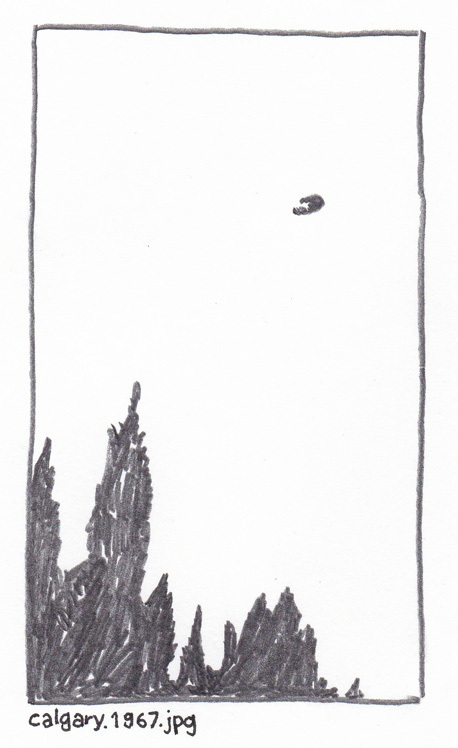 Internet UFO drawings # 12 30x30cm graphite drawing. Internet UFO drawings # 25 30x30cm graphite drawing. 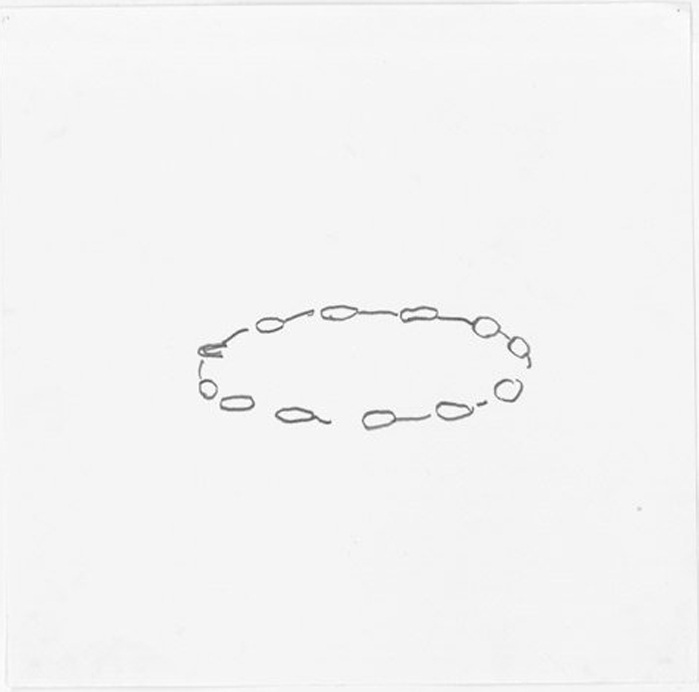 Redrawn UFO Photographs calgary.1967.jpg 14,8x21cm graphite drawing.